I’m working on a silly Polymer project right now, which parses a Pokémon database and returns a picture of a Pokémon, then speaks the creature’s name over your speakers. Here’s the source code for my project. It’s my first time using Polymer, and I’m certainly getting snagged in a few spots. Most recently, it was trying to return member functions of a Polymer object that I created. Took me forever to figure this out, so I wanted to share it with you in this tutorial. Sidenote: you can also search for my more detailed write-up on Web Components here. If I try to access it by its ID…. The reason behind this is due to the Shadow DOM’s encapsulation. It is both a gift and a curse. In this case, I am accessing the element, and not the shadowRoot, which will expose the public methods attached to the Shadow DOM object. In the next step, you will see how I can access the member functions in my custom element, as well as how I can reutrn nodes that lie even deeper in my web component. Rob Dobson of Google’s Polymer team explains this well in his blog post. Eric Bidleman goes into even more detail in his advanced Shadow DOM article. I highly suggest taking the time to read these over to better understand how this version of the DOM works. 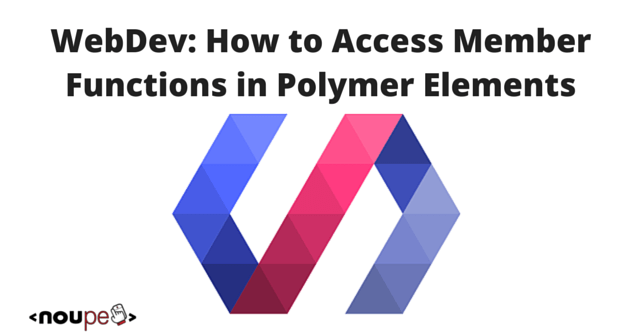 You can also grab the ID of a polymer element and access the member functions. Polymer parses element definitions and handles their upgrade asynchronously. If you prematurely fetch the element from the DOM before it has a chance to upgrade, you’ll be working with a plain HTMLElement, instead of your custom element. 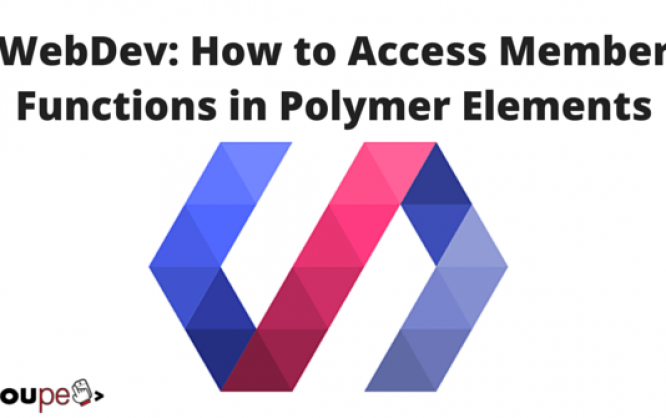 In conclusion, as long as you wrap the functions you are trying to call in the polymer-ready event, you should be good to go, and can call functions from your polymer-element. // Take text from input & set it as the text that the speaker will say. <a href="http://zenorocha.github.io/voice-elements/">voice-elements web component</a> to speak the name of the Pokémon we entered. where do you’ve got the article Icon (code Brackets) from?